Meets ANSI/ESD S20.20 in accordance with ESD TR12-01. Visible and audible alarms indicate improper grounding of the operator and worksurface. Test voltage can be set to 9 or 16 volts; test limit can be set to 10 or 35 megohms. Buzzer volume may be disabled or set to loud or soft. 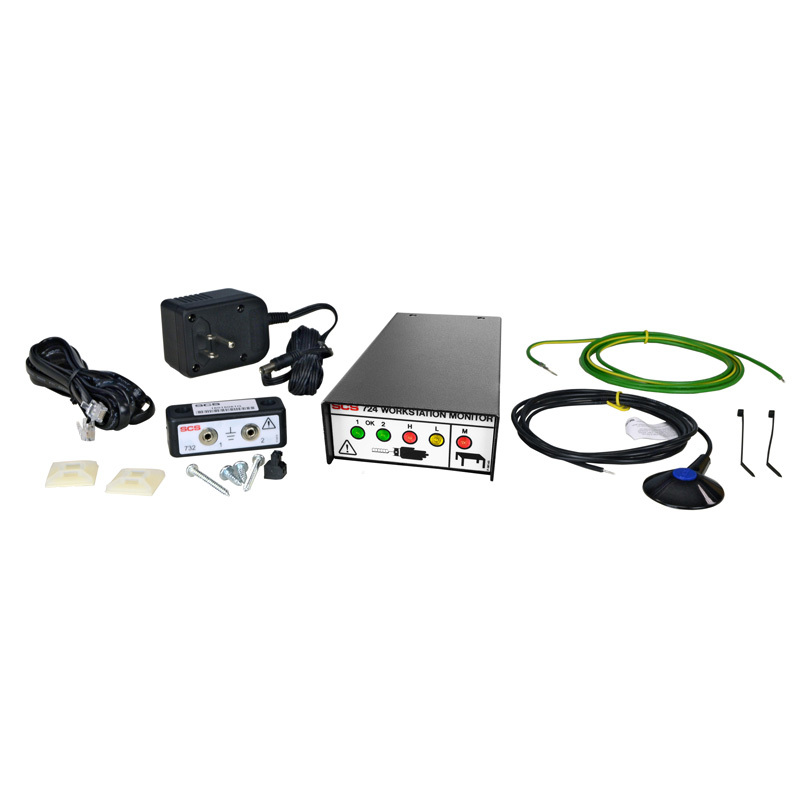 Mounting hardware and wire management clips are included. 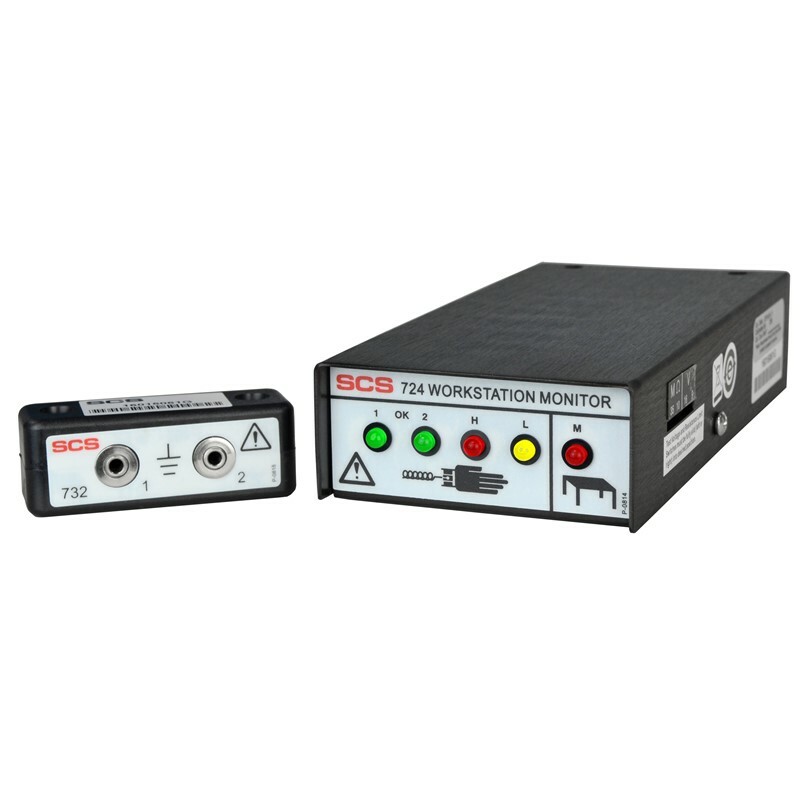 Use to perform periodic calibration testing of the 724 Workstation Monitor. Calibrated with accepted procedures and standards traceable to the National Institute of Standards and Technology. 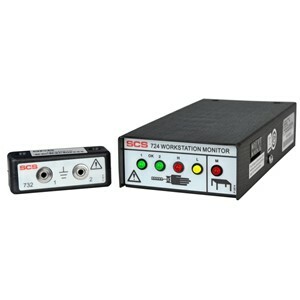 For more information on calibration of SCS products, click here.